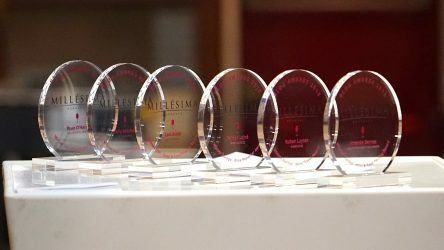 Throughout the month of December, several hundred bloggers sent us their entries to be reviewed by the Jury of the 5th edition of the Millesima Blog Awards. The reward: a seven day immersion trip into the wine world of Bordeaux during the exciting “En Primeur Week”. 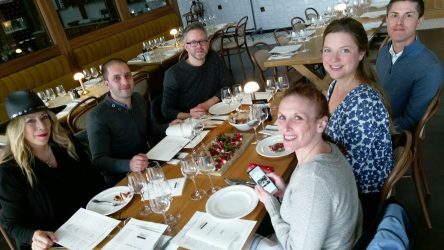 The finalists were chosen by our exceptional jury, composed of Marie-Louise Schÿler (Communication Director of Baron Philippe de Rothschild), Julien Miquel (Founder of award-winning blog SocialVignerons.com) and Jeff Burrows (blogger at FoodWineClick! and winner of our 2017 edition). 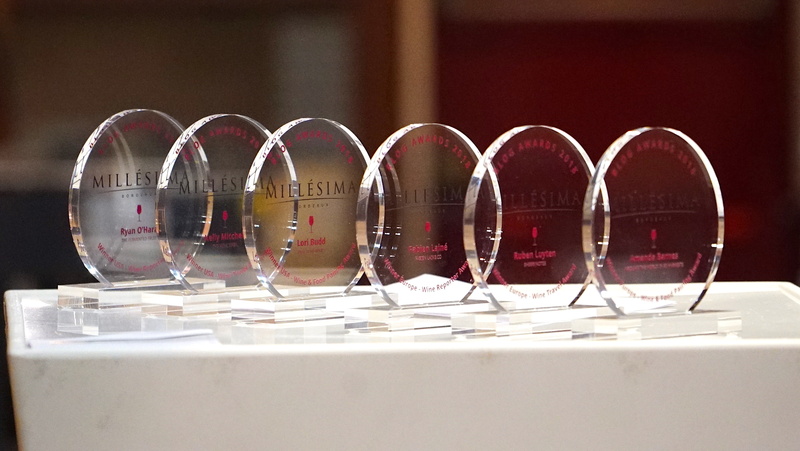 The nominees’ articles were then submitted to a public vote to determine the 6 winning bloggers. 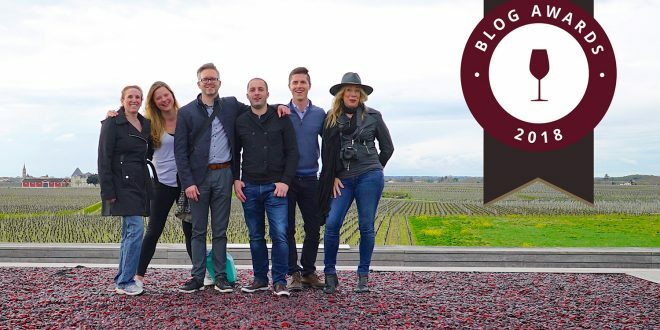 Discover the unforgettable week spent in Bordeaux by our Grand Prize winners: Amanda Barnes, Ryan O’Hara, Lori Budd, Ruben Luyten, Fabien Laine and Kelly Mitchell. 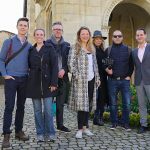 It was an incredible experience for our six bloggers from around the world, who had the chance to spend a week sheltered at the Seeko’o Hotel – in the heart of Bordeaux’s Chartrons district. Arrived on Saturday, our six winners headed towards the center of Bordeaux for a guided tour of the city, classified World Heritage site by UNESCO. Then, they were fortunate to board the Sicambre for a lunch cruise, for an adventure along the Garonne River and the wharf. 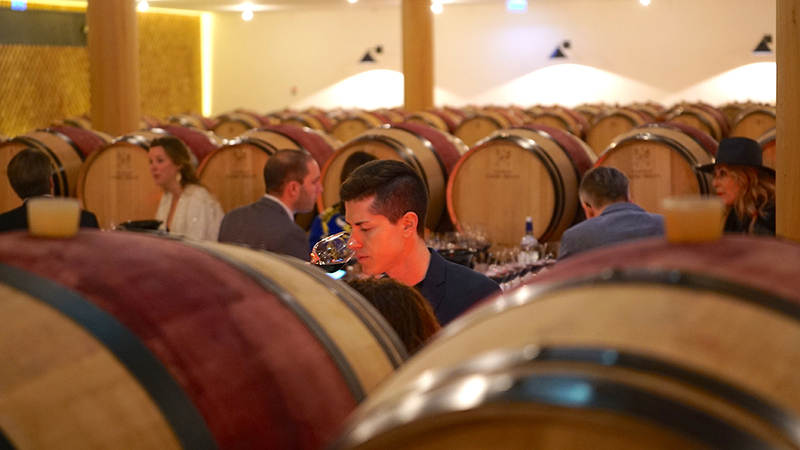 To end this first day, they were invited to the legendary cellars of Millesima in Bordeaux, for the presentation of the trophies, followed by an indulgent gala dinner. This provided a great opportunity for our bloggers to get to know Millesima’s team around a meal in the unique Imperial Library. The week officially began with a tasting of the 2017 Wine Futures at Hangar 14 in Bordeaux. 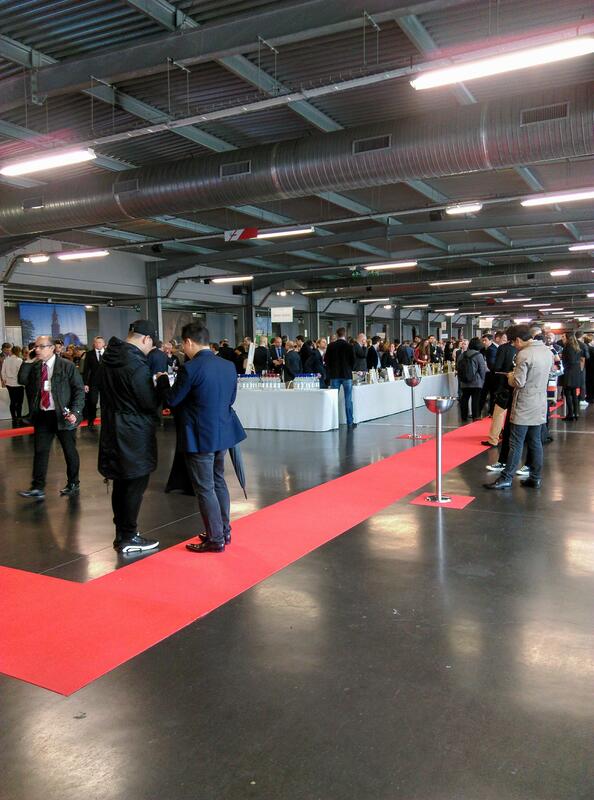 This “Silent Tasting” is organized each year by the Union of Grands Crus of Bordeaux (UGCB). 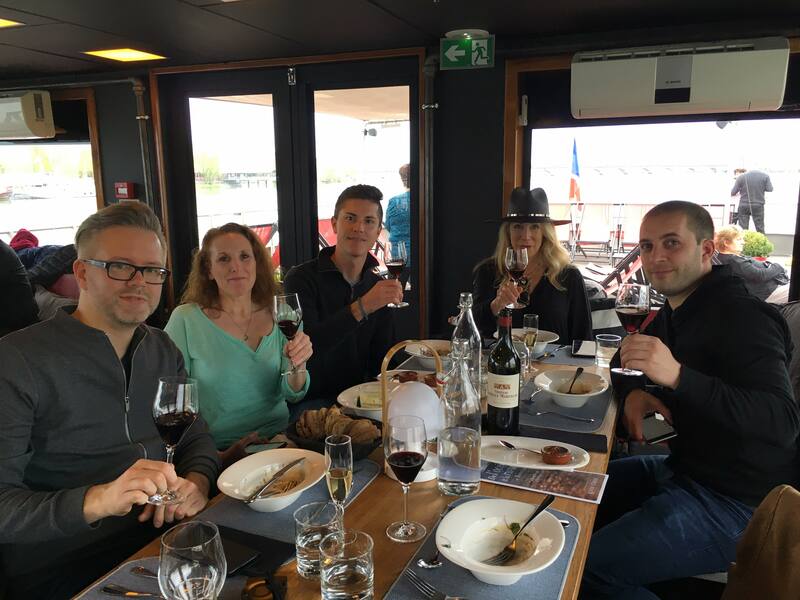 Our bloggers then made their way to the Cite du Vin, where they had lunch at the Lattitude20 brasserie. 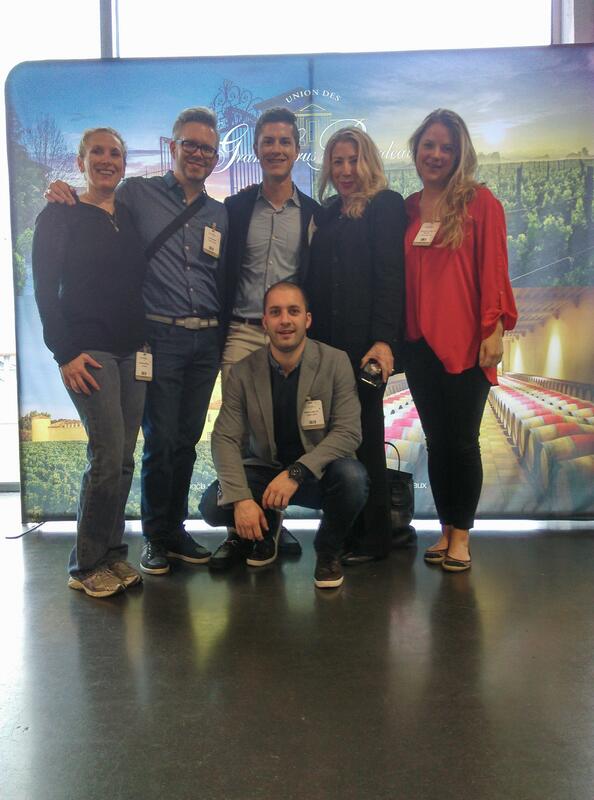 They spent the afternoon in this brand new state-of-the-art cultural & wine facility, opened just last year. Our prizewinners were hereby able to discover the entire museum and the permanent exhibitions. In the evening, the bloggers were brought to Chateau Kirwan for the Opening Press Dinner organized by the UGCB. 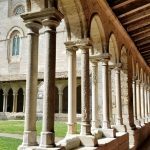 The agenda started at the Couvent des Jacobins (Right Bank), where Xavier Jean and Denis Pomarede awaited our winners for a guided visit, followed by a breathtaking vertical tasting and other workshops. 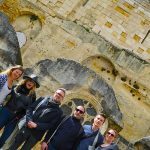 Then, our visitors followed the path through the vineyards to the charming village of Saint-Emilion, where they explored every nook and cranny during a guided tour monitored by the Tourist Office of Saint-Emilion. 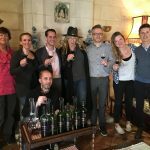 At the end of the afternoon, our six bloggers stopped at Chateau La Couspaude for a tasting of the 2017 Saint-Emilion Wine Futures. 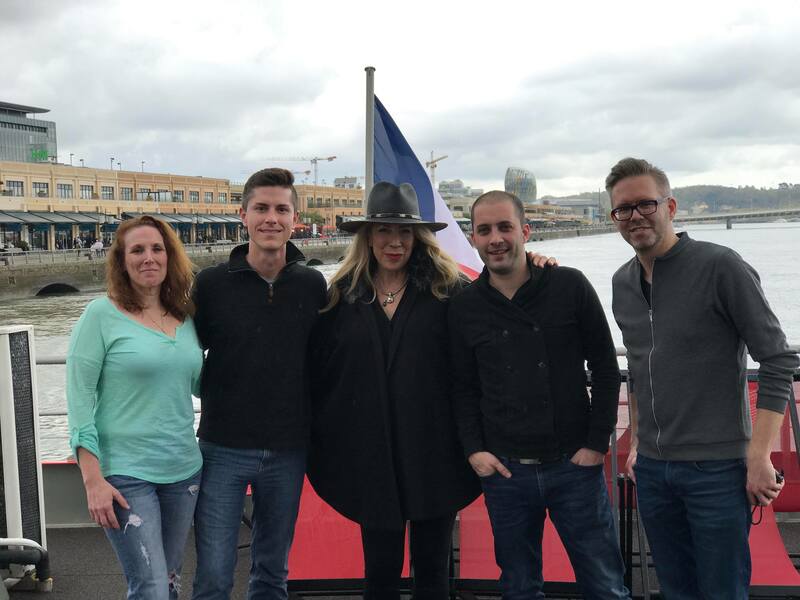 The day ended with a visit and tasting at Chateau La Dominique and dinner with a superb view at the panoramic restaurant La Terrasse Rouge. 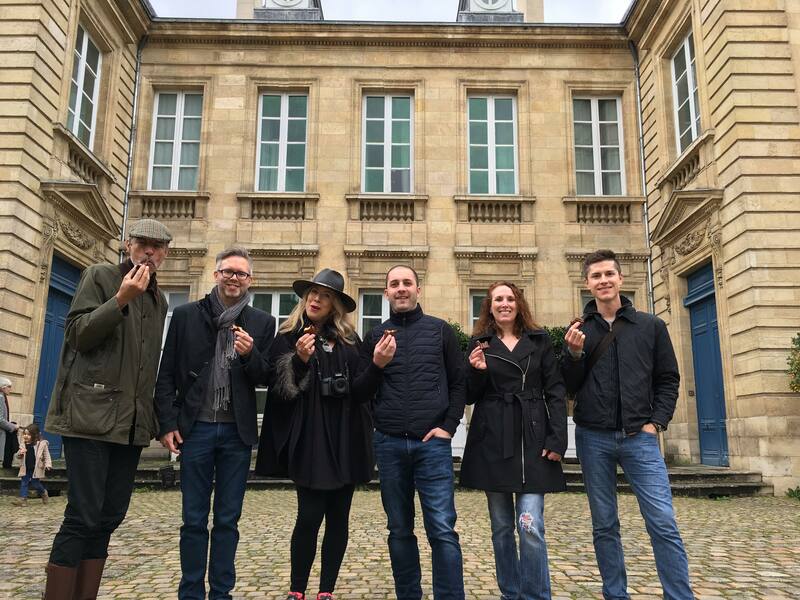 Our group of six began their schedule at Chateau Siran, where they participated in a tasting of the Margaux 2017. 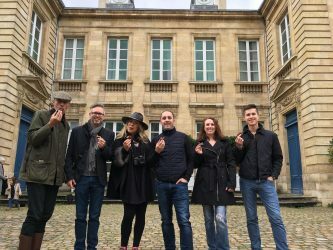 Next, they proceeded to the legendary Chateau Mouton Rothschild, where they enjoyed an incredible tour and tasting of the family’s Bordeaux estate wines. 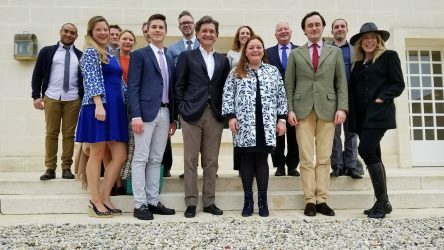 They also had lunch at the property with the Mouton Rothschild team and the owners & managing relatives: Camille Sereys de Rothschild, Philippe Sereys de Rothschild and Julien de Beaumarchais de Rothschild. 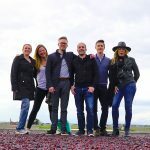 This was a truly exceptional moment for the bloggers, who found themselves completely immersed in the legendary First Growth estate. 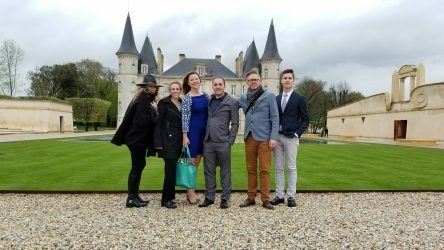 Our team of winners then carried on to Chateau Pichon Baron, our partner for the previous edition of the Millesima Blog Awards, for another visit and a tasting. For dinner, the bloggers discovered the brand new Halles de Bacalan during a meal at the Familia restaurant. 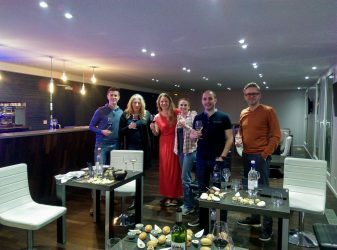 On the last day of their stay, our winners attended their last Wine Futures tasting: Pessac-Leognan and Graves appellations, at Chateau Malartic Lagraviere. 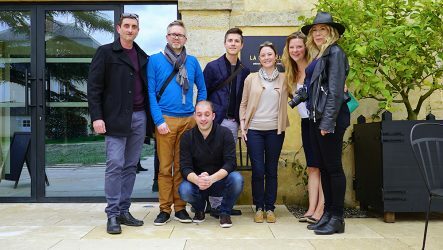 Prior lunchtime, they enjoyed a visit and a tasting at Chateau Guiraud in Sauternes. Inevitably, the following meal was taken at La Chapelle de Guiraud, a freshly embedded restaurant. 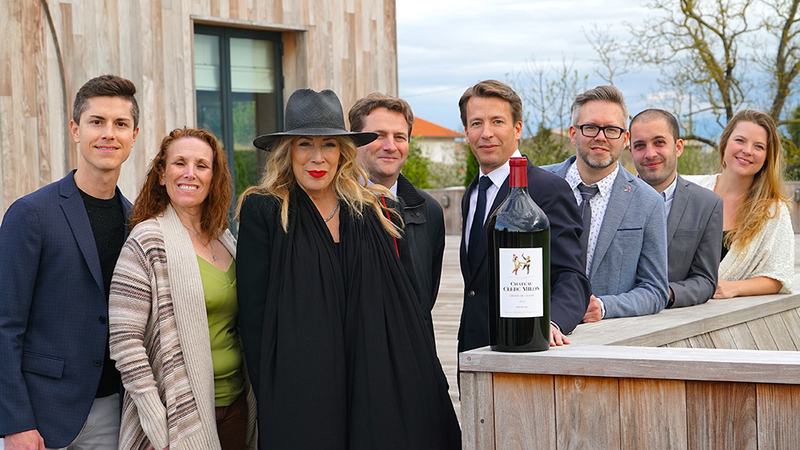 The day furthered at the home of this year’s sponsor: Chateau Clerc Milon. 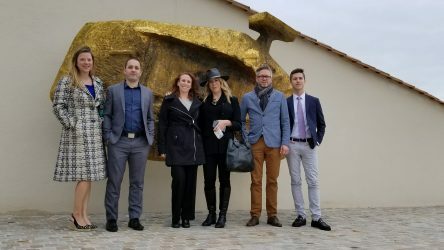 Marie-Louise Schÿler (jury member and Communication Director of Baron Philippe de Rothschild), accompanied by Jean-Emmanuel Danjoy (Director of Chateau Clerc Milon), welcomed the bloggers to the property in Pauillac and led them around the estate on a private tour. 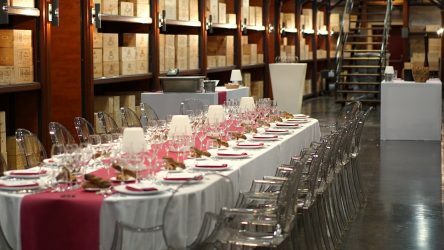 The program went on with a vertical tasting of Clerc Milon: from 2009 to 2016, held within the cellars of the property. The final day ended with a convivial and refined goodbye dinner at the chateau with both teams of Clerc Milon and Millesima. 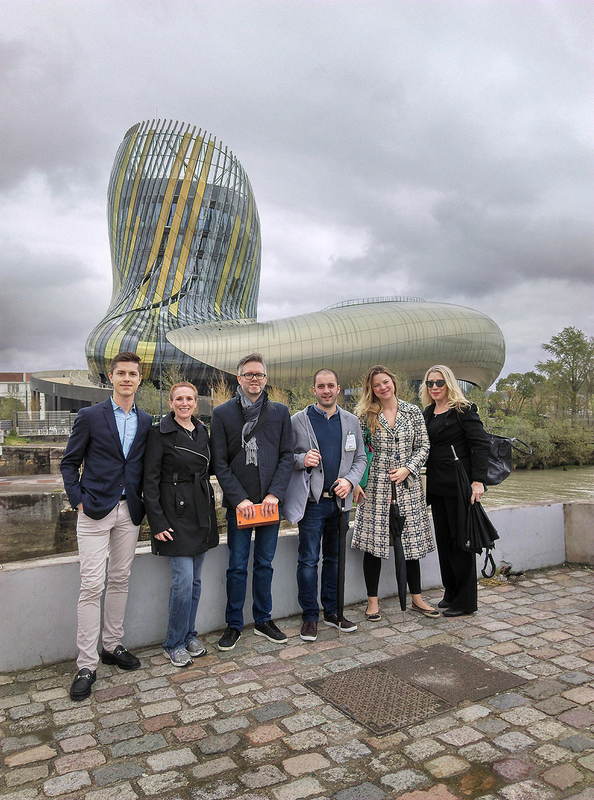 The week-long immersion journey into the wines and the culture of Bordeaux had just come to an end for our six winners of the 2018 Millesima Blog Awards. An eventful week indeed, that will undoubtedly leave our bloggers with unforgettable memories. 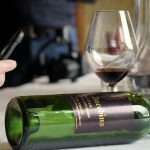 An intensive experience tasting the En Primeur wines of the 2017 vintage, in the most renowned appellations of Bordeaux (Pauillac, Margaux, Saint-Estephe and Sauternes…), just like the professionals. 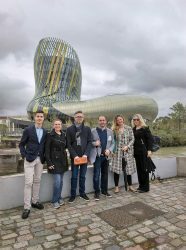 Not to mention their delightful dinners in famous wine estates and in various restaurants… This week was truly one of great adventure for our six awarded bloggers, and a chance for them all to discover the richness of the terroir and the wine heritage of Bordeaux.